Whether you are looking for a therapist, nervous about your first session, or trying to get out of therapy, we have some advice from Momma B just for you! You can also listen on Apple Podcasts, Google Play, SoundCloud, Stitcher, and TuneIn. How do you start your search for your *very own* therapist? What should you be looking for online and on your health insurance card? What if you don’t have insurance? Is it kosher to ask your potential therapist questions about themselves? In this first part of a baby steps special, we go deep inside the mental health system to help YOU navigate finding a therapist of your very own, IRL. Momma B PhD puts on her detective cap to sleuth out mental health solutions as she investigates three cases of people, trying to find their therapist. 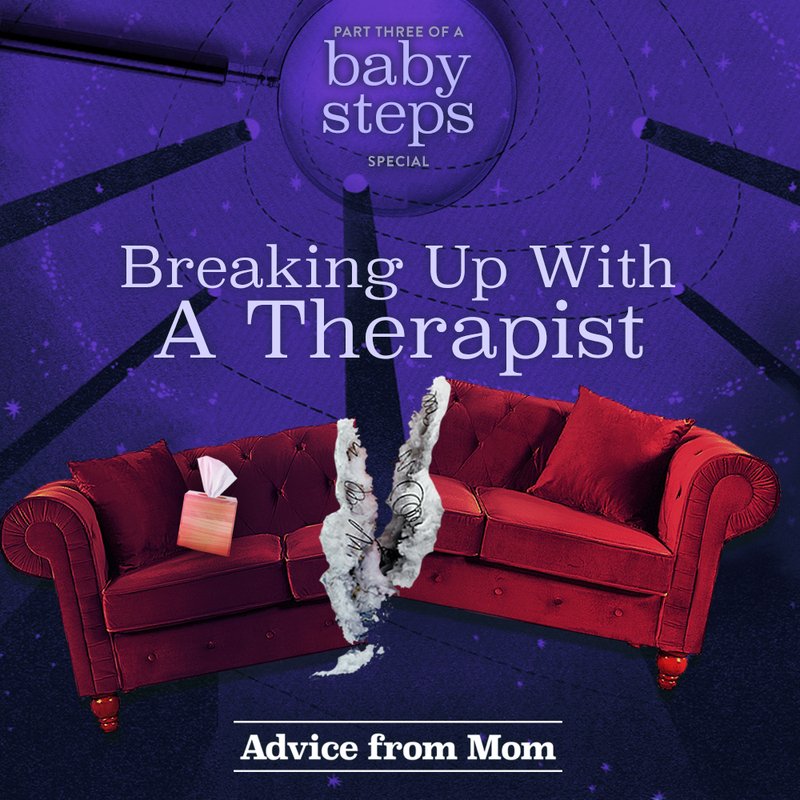 For part 2 of our baby-step special on finding your therapist, Momma B PhD, holds your hand all the way to the therapist’s office as we cover what’s gonna happen at your first session. What should you expect to share? Should you always feel better after your first session? How many sessions does it take to know if your new therapist is a good match for you? All these questions answered, as well as some personal therapy adventures from Momma B’s past as a “young, naive thing in Philadelphia”. How do you know it is time to leave your therapist? What should you do if your therapist acts inappropriately? And what if your therapist is making it difficult for you to end therapy with them? Back by popular demand, this is the third installment of our baby-steps special series on the how-tos of therapy. Whether you want to slink, saunter, or stomp out of therapy, Dr. Momma B is here to help. We will also hear a first hand account of therapist trouble (in three acts!) from Jennifer Judkins from the podcast, The Ripple.